i love how this printed cardboard turned out! just perfect for a home decor! 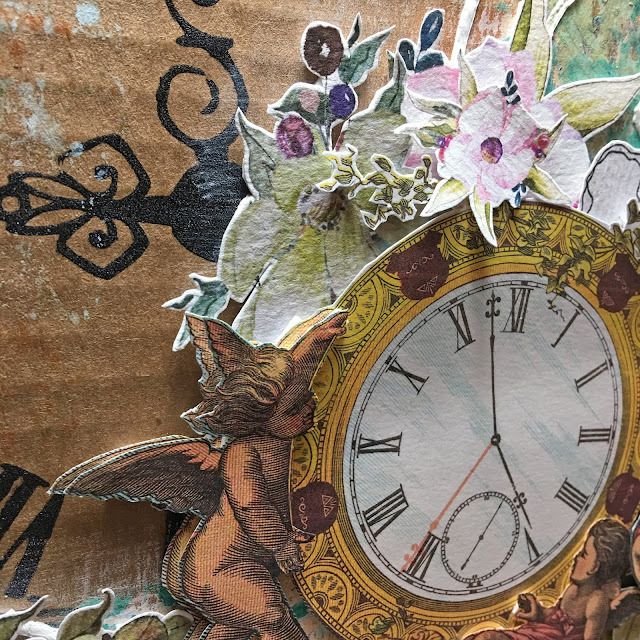 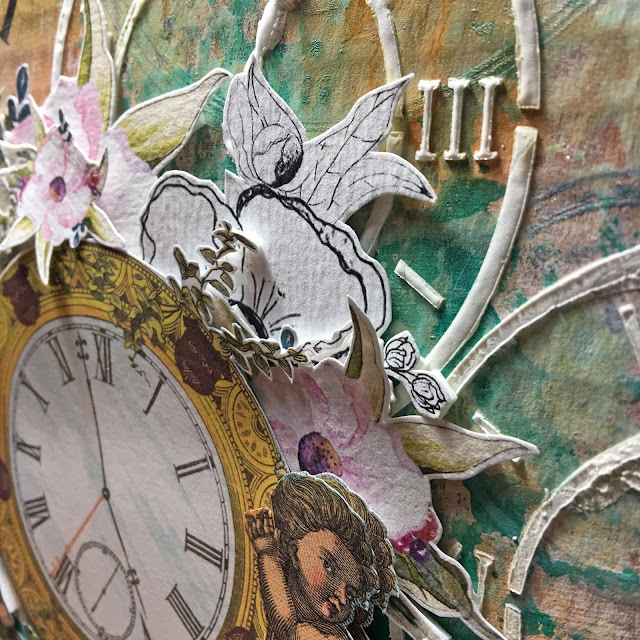 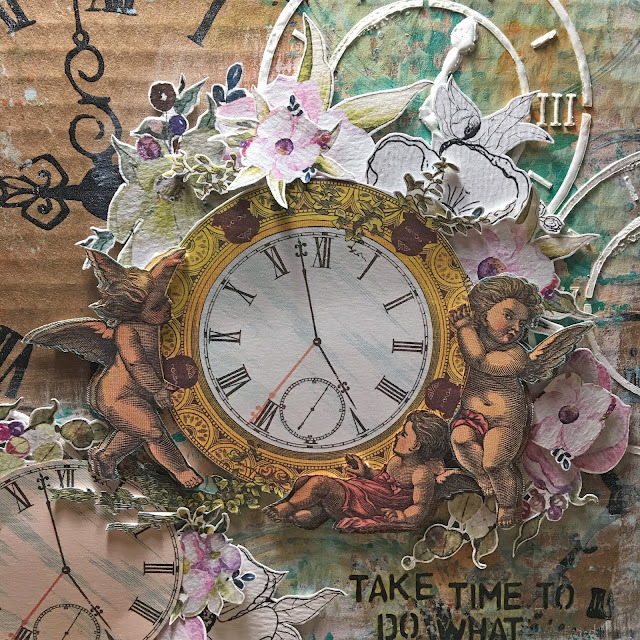 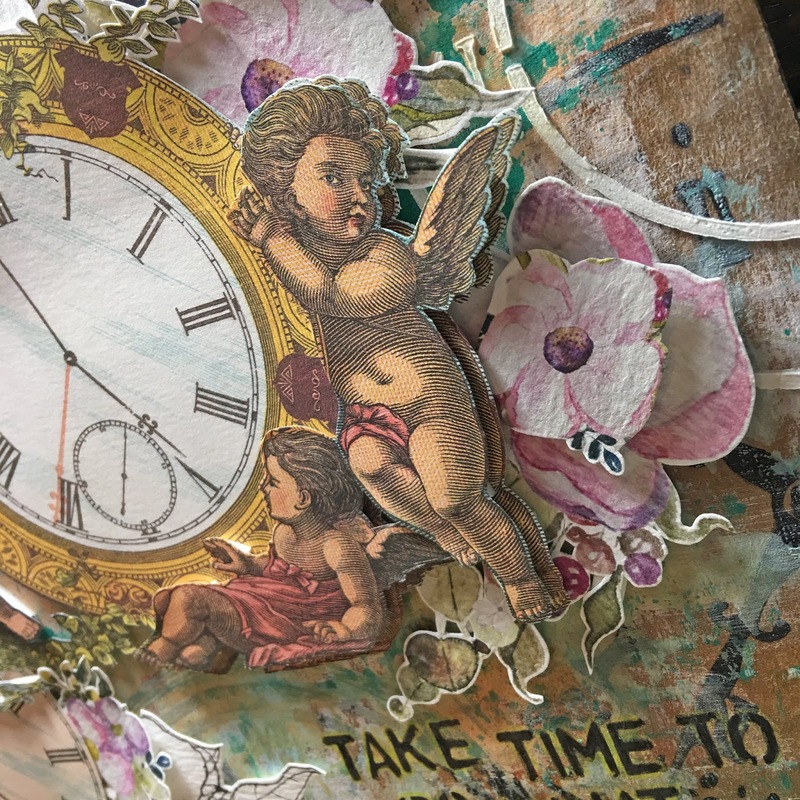 for embellishments, i fussy cut the beautiful flowers from Aga Baraniak Bohemian Romance paper and this adorable cherubs and clock graphic from The Graphic Fairies Blog - a blog that i love! 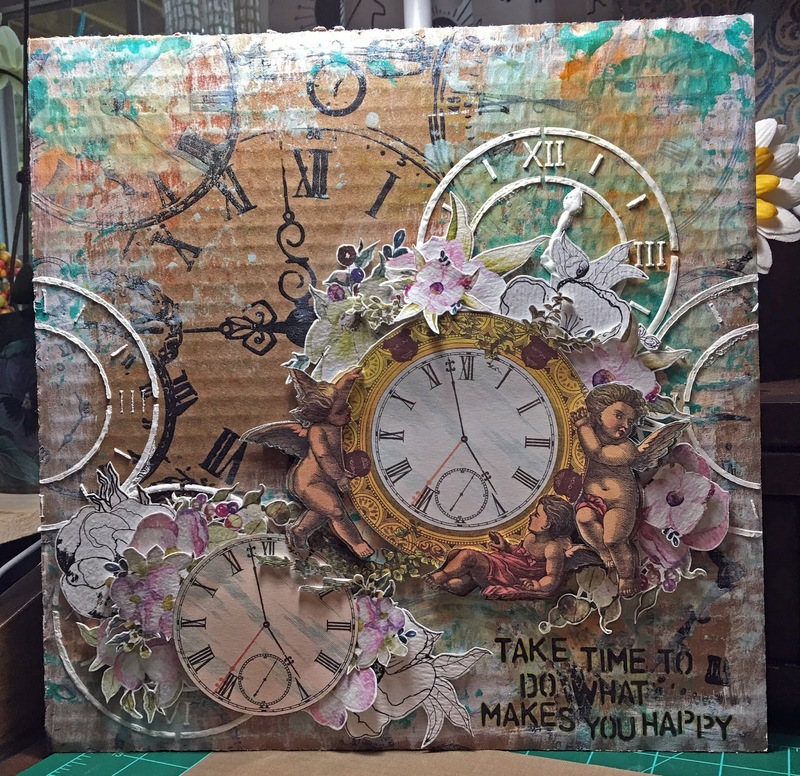 my idea was to combine layers of gesso, paint, mist and modeling paste with this wonderful printed cardboard which is a perfect base for mixed media projects, junk journals, scrapbooking layouts, cards and so much more! 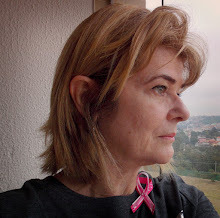 i also used the amazing Tattered Angels high impact paints and glimmer mist to create my background! 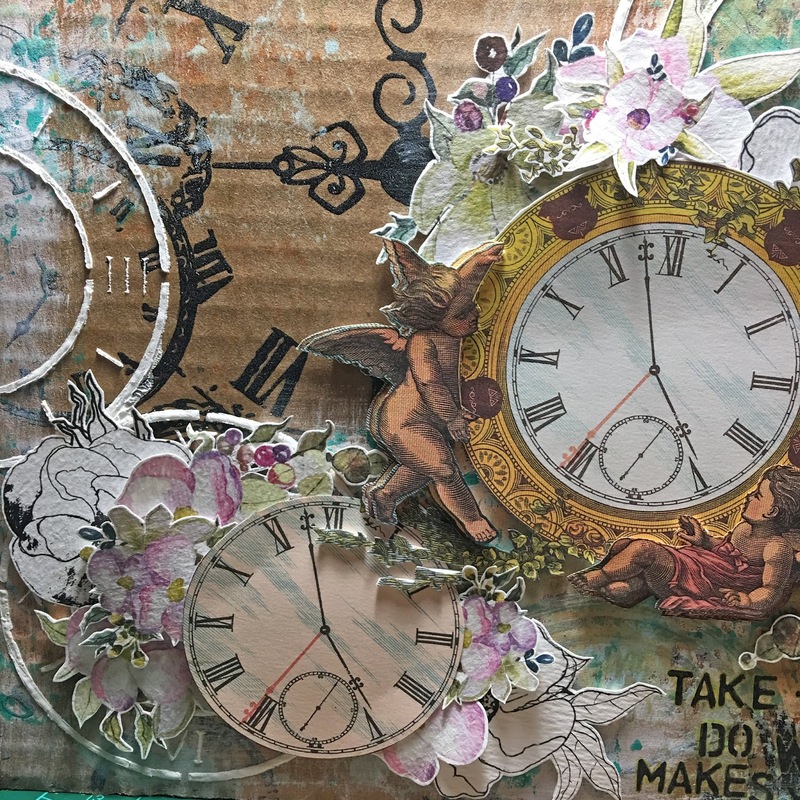 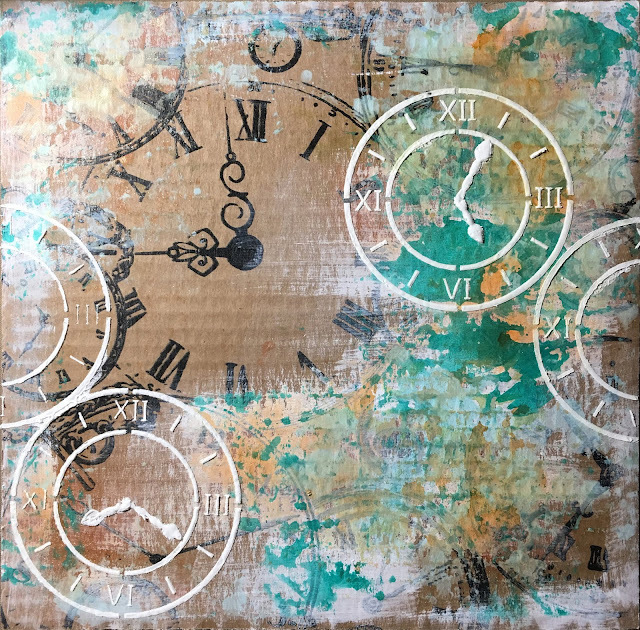 the cherubs and clock graphic was just perfect for my project - thanks Graphic Fairies Blog!